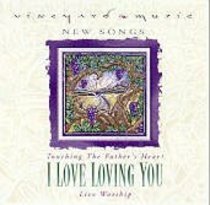 Vineyards Touching The Fathers Heart series consistently introduces thefreshest worship songs. This album features two exciting new worshipleaders, Dave Chumchal and Michael Hansen. From Christian Marketing. About "I Love Loving You (#32 in Touching The Father's Heart Series)"